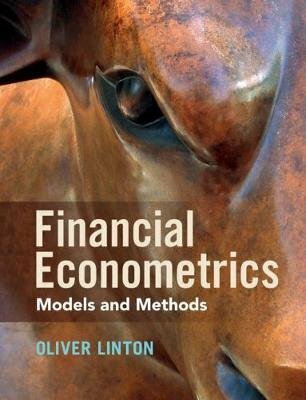 This is a thorough exploration of the models and methods of financial econometrics by one of the world's leading financial econometricians and is for students in economics, finance, statistics, mathematics, and engineering who are interested in financial applications. Based on courses taught around the world, the up-to-date content covers developments in econometrics and finance over the last twenty years while ensuring a solid grounding in the fundamental principles of the field. Care has been taken to link theory and application to provide real-world context for students. Worked exercises and empirical examples have also been included to make sure complicated concepts are solidly explained and understood.